ALL pupils leaving primary school will be physically literate and with the knowledge, skills and motivation necessary to equip them for a healthy, active lifestyle and lifelong participation in physical activity and sport. Utilising primary school sport funding successfully, our staff will support and develop your teachers so that they are confidently and consistently delivering high quality PE lessons. We passionately believe that primary school teachers are an integral part of a child's physical and emotional life and we also believe that physical activity is key to a growing child's health and well-being. 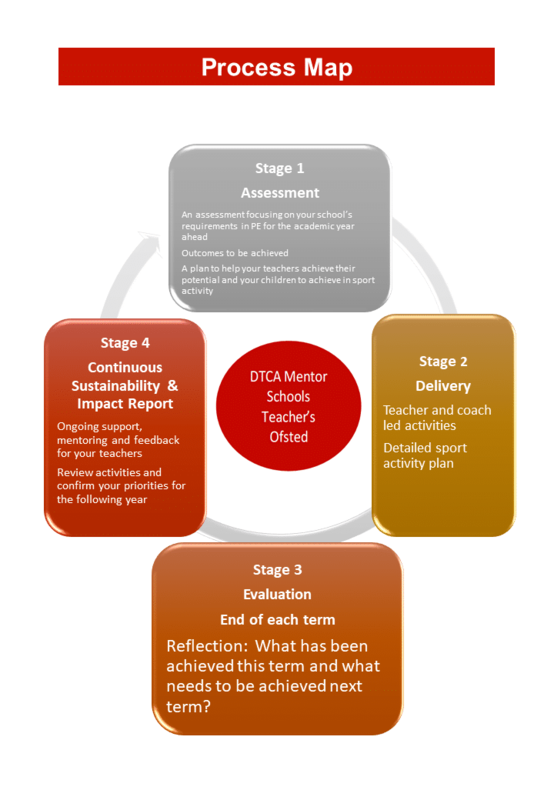 MEETING THE OFSTED CRITERIA - COULD YOUR SCHOOL BENEFIT FROM PE SUPPORT? Our approach focuses on developing a child's physical literacy and continually builds a teachers confidence when delivering PE in your School. We work within the Ofsted criteria when reporting use of the PE and Sport Premium Funding Government Programme. 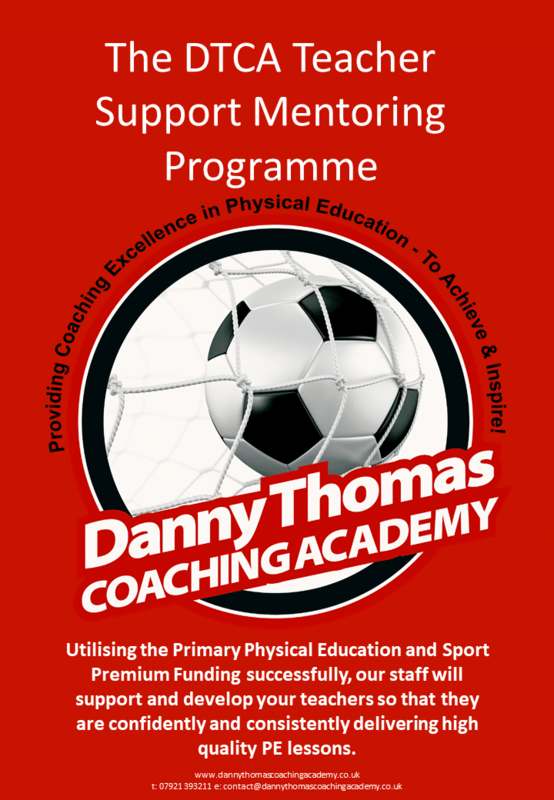 About our PE Teacher Support Mentoring Programme. Our Process and Outcomes. Our PE Teacher Support Programme is led by our qualified and experienced mentors and is focused on achieving self-sustaining improvement in the quality of PE and sport in primary schools. The programme involves regular and ongoing mentoring for your teachers. Schools working with us will see an improvement against the following 5 key indicators: The engagement of all pupils in regular physical activity, kick-starting healthy active lifestyles. The profile of PE and sport being raised across the school as a tool for whole school improvement. Increased confidence, knowledge and skills of all staff in teaching PE and sport. Broader experience of a range of sports and activities offered to all pupils. Increased participation in competitive sport. We know that each teachers needs in your school will be different. That's why we tailor our PE teacher support services to your school’s requirements. We consistently ensure pupils are motivated, challenged and most importantly, supported in their PE lessons. We will work alongside your teachers during lessons and on a one to one basis. We work within the Ofsted criteria when reporting use of the PE and Sport Premium Funding Government Programme. 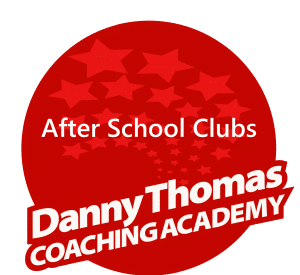 Danny Thomas Coaching Academy believes that in order for your school to succeed, we need to connect with your teachers. We realise that it is paramount that we also connect with children at the place where they spend the most time learning the physical and social skills that set them up for the rest of their life. By working with us you will be able to make sure improvements are sustainable, we will show you how the use of your funding will contribute to achieving self-sustaining improvement in the quality of PE and sport in primary schools. Your school will be able to develop or add to the PE and sport activities that your school already offer and make improvements now, that will benefit pupils in the future, creating sustainability and continuous improvement in children’s health, wellbeing and their social skills. We want to assure you that we work to exacting standards in our delivery. All our mentors are qualified in the skills they deliver. You will be receiving a highly professional service. We believe we are setting the highest standards in the industry. We hold full Public & Employee Liability Insurance and all our mentors hold Enhanced DBS checks, hold First Aid certification and are Children's Safeguarding trained. We strongly believe in the Continuous Improvement of our business and our staff are annually assessed as part of our appraisal system.